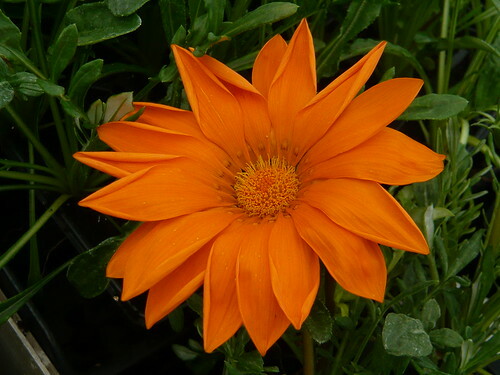 Gazania are one of the most colourful of garden flowers. 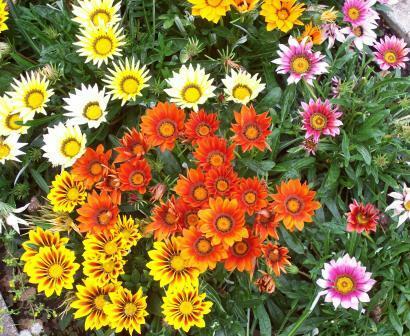 The star shaped daisy like flowers can be up to 3 inches across and are available in a range of colours as this photo shows. The flowers of most varieties are stripped and zoned. As in this photo they display their vibrant colours even in cloudy conditions but prefer the hot sun. Americans call it ‘Fall’ and the Brits call it ‘Autumn’ but November’s ‘Backend’ can produce a garden Bonanza. 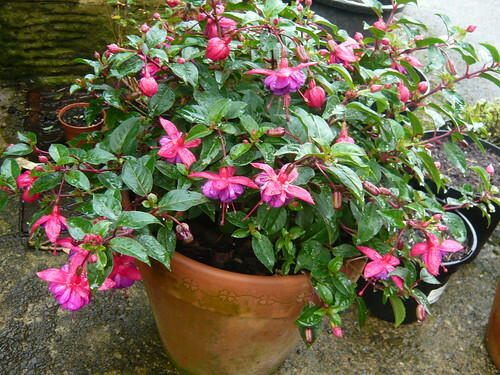 These flowers are still showing their true colours despite all that our English weather has been able to throw at them. 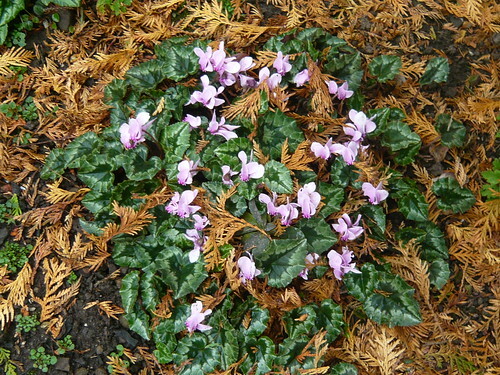 You can tell the leaves know it is fall and the Cyclamen hederifolium know it is autumn and time to flower. Dollar Princess was a group of Fucshias I received as cuttings. It took awhile for the flowers to arrive but the late profusion is very welcome. 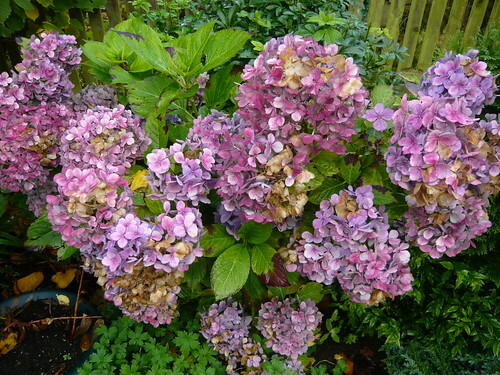 A bit over blown and beginning to loose their colour the Hydrangeas have enjoyed our wet season this year. 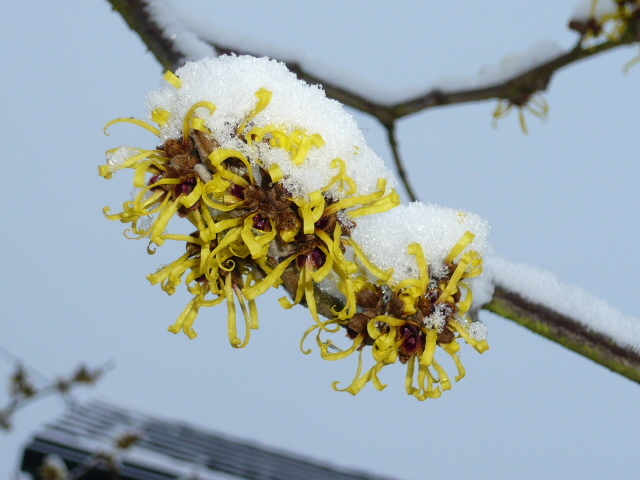 The reward is going to be a winter windfall of flower. 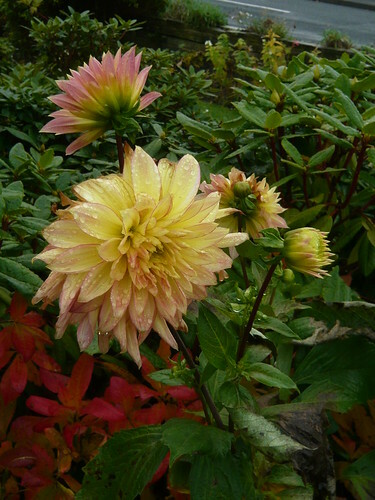 The Dahlias have also been a stroke of luck, lasting very well without as much deadheading as they should have received. 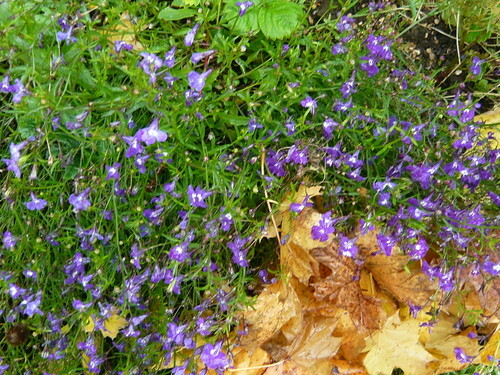 The annual Lobelia has surprised my with its deep blue colouring that has lasted all through summer. It may be the autumn light but the intensified colouring seems to have strengthened as the seasons moved on. Colourful Tips on garden colour wheel. Red and green are complementary colours that draw plenty of compliments in the right setting. 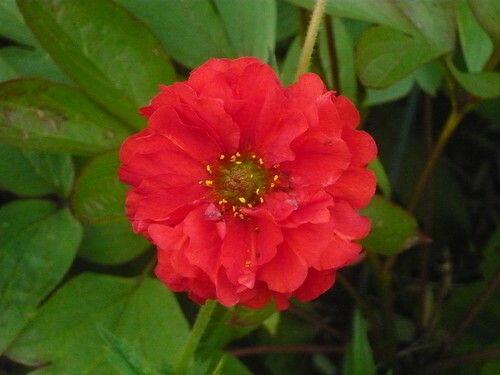 This Geum looks better against the green leaves than it does waving around on its long stems (although it is fine then as well). 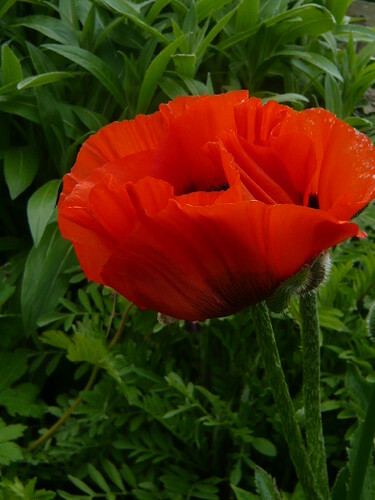 Another moody shot of a red Oriental poppy against it’s slightly greener leaves. For great artistic paintings you can’t beat red poppies and green leaves. 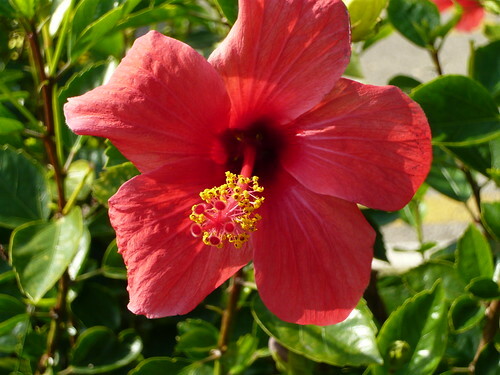 Perhaps it is the yellow stamens that catch the eye on this Hibiscus but the glossy green leaves are also a major part of the charm. 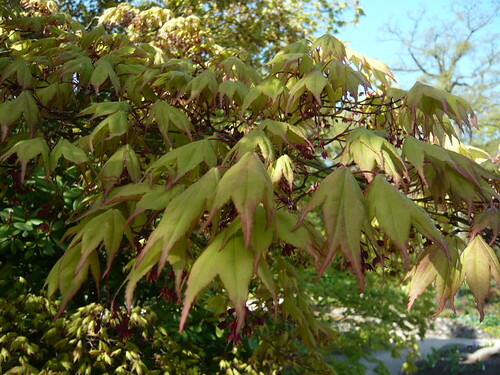 Acer are renown for the colour of their leaves in Autumn. 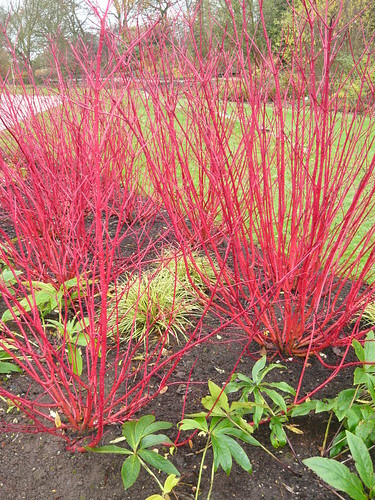 Careful selection of varieties will produce great spring colour in addition to your Autumn blaze of glory. 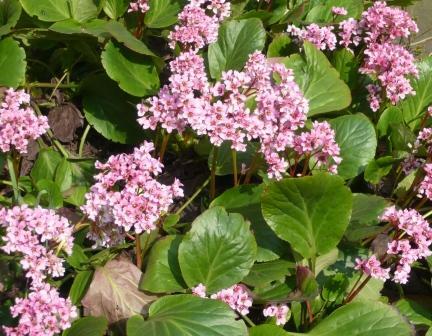 Select the varieties that are classified as shrubs. 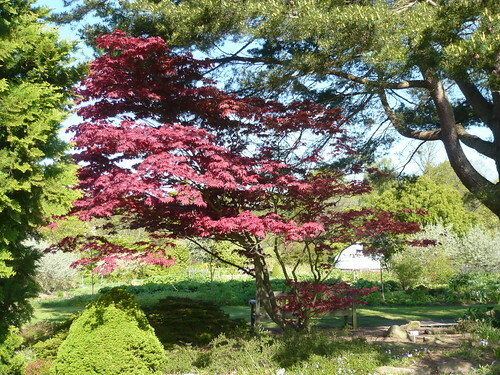 ‘Japanese Maple’ Acer japonicum and palmatum will give you the desired results. 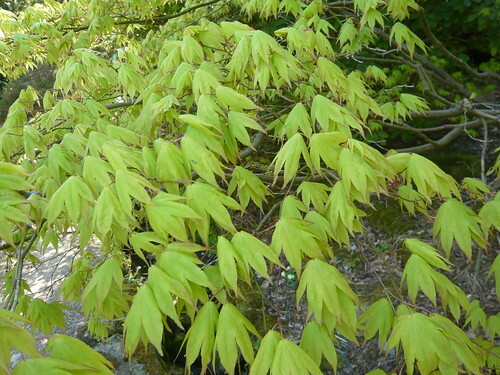 Other Acers like Field maple, Sycamore, Red or Silver Maple are all medium to large trees 50′ plus. Paper bark maple and Snake bark maple have interesting bark and grow to be small trees 15-25 feet tall. This delicate little Primula ‘Elizabeth Burrow’ is not the best example of a purple patch plant as it is little bigger than a £2 coin. Primula Denticula however can be a real stunner with lilac or purple flowers on lollipop stems. 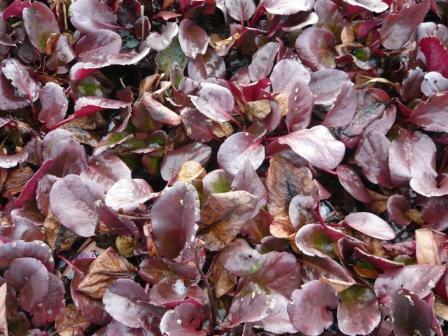 This is just an example of the range of purple colourings available on modern plants ranging from deep violet to lilac. 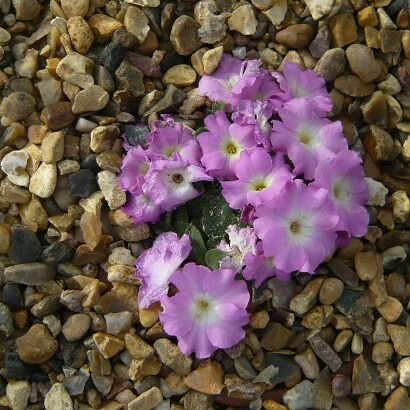 Also from the Primula family come the Japonica and Harlow Carr Hybrids that often sport a purple hue to the flower-heads. 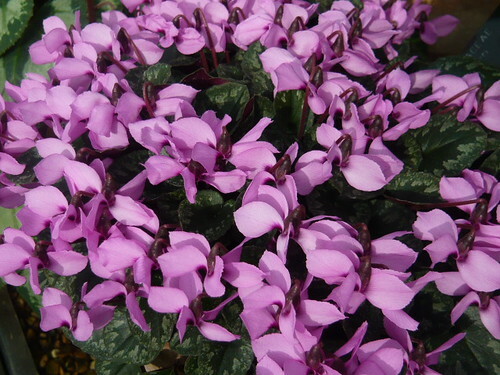 At the red end of the purple spectrum this cyclamen make a strong colour statement and it could be paired with the 18″ high Allium hollandicum ‘Purple Sensation’. There are also many purple Rhododendrons for early flowering like the compact Ramapo. True blue is not a colour that is all that common in the garden. Doubtless you have your blue favourites but these two photographs caught my imagination. 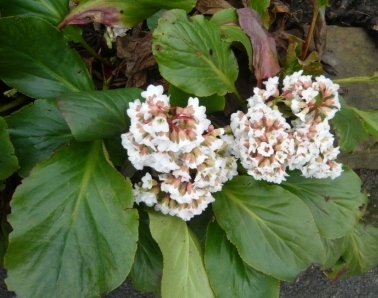 Close inspection of a bloom is often repaid by new insights into a plants capability. I particularly like veins and the shadow of the stamen on the Geranium. Thanks to FMC and flickr for the Creative Commons License.